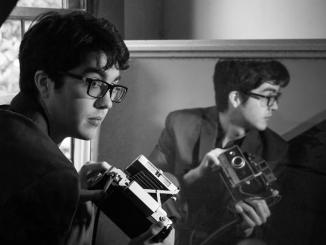 Singer/songwriter Will Toledo, or as he is better know as the originator of Car Seat Headrest, is releasing his 15th, that’s right 15th long play release, Teens of Denial. The new release is the following up to his first record label release Teens of Style. 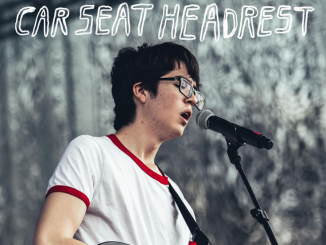 For those who are just discovering Car Seat Headrest there is an interesting back story of a performer who is still only in his mid twenties and has already racked up an impressive musical output. If you a member of the Car Seat Headrest cult you might want to skip a paragraph or two, but for the rest of us attempting to catch up here are the cliff notes. 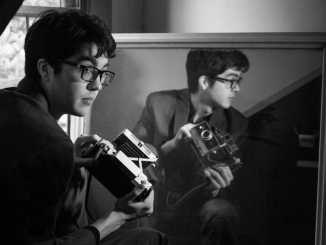 Car Seat Headrest began as a solo project for multi instrumentalist Toledo in 2010 in his hometown of Leesburg, Virginia. The name of the project was inspired by Toledo recording his first albums in the privacy of the back seat of his car. He self released his albums on indie champion Band Camp where he would eventually upload 12 albums to ever increasing popularity. The release that gained the most attention from the Band Camp days is 2011 Twin Fantasy. Along the way the quality of his releases has progressed but always reflects his love for a lo fi simple and effective DIY style. In 2015 he signed with the label Matador and released “Teens of Style” which received heavy critical praise. 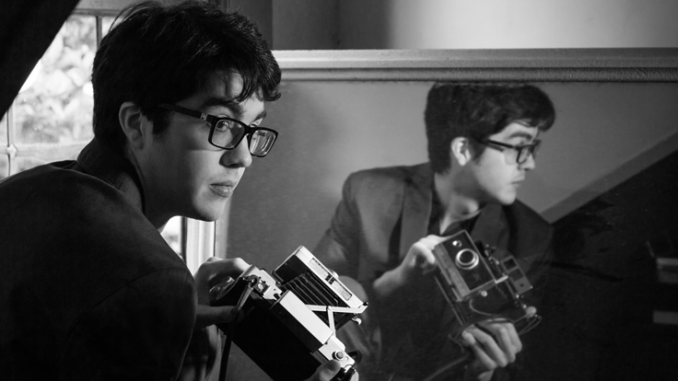 Car Seat Headrest also evolved from just Toledo to a fully fleshed out band including members, Ethan Ives on guitar, Andrew Katz on drums, and Seth Dalby on bass. The band is now based out of Seattle, Washington a headland for the “Do it Yourself” musical movement of the American Northwest. Teens of Denial was recorded at Soundhouse and Avast! Studios with producer Steve Fisk, one of the most influential producers of the contemporary Pacific Northwest music scene. The album took a more traditional production approach and shows an artist who is now a long way from the backseat of his car, but loses none of the artisan charm of the earlier albums. “Teens of Denial” is the end result of all those experimental excursions that Toledo happened upon as he was growing into a mature artist. He moves from bedroom pop to classic rock grandeur all the while using the vernacular of the profound and profane. He also takes on big themes addressing them through his created alter ego Joe. Just some of those themes are personal responsibility, existential despair, God, heaven and the nature of identity. The release is caustic, evocative, empathetic, literary, solipsistic, self loathing and self aggrandizing. Car Seat Headrest’s releases have always been ambitious. This go round there is more focus, and a feeling of a beginning, middle and end as we follow the “Joe” alter ego through a cathartic and confessional process. The song Fill in the Blank is the mission statement of the album and one of the angriest songs on the release. It starts innocently enough with a valley girl like “Oh my God” intro vocal and then takes off with a spectacular display of pounding drums and awesome guitars. It is a song that confirms that the teenage years are still as angry and angst ridden as ever. With all the anger the song is still charmingly approachable and you can’t help but smile and nod as the lyric “you have no right to be depressed, you haven’t tried hard enough to like it” unreels. The song is a simple construct but brilliant. Vincent is a mind altering explosion of heady alternative rock goodness. The track is a forthright stream of consciousness lyric about paranoia and confusion that leads to self medicated oblivion. The song reminds me in many ways of early Beck with that off the cuff lyrical style. It is another song with tremendous energy and keeps your attention. I love Destroyed by Hippy Powers, there I said it, the paradox of Hippies causing harm and having power is a note of irony I adore. This song had me at the title and completely won me over with the grungy intro and cowbell, and as we all know you can never have enough cowbell. The song is straight out of the 1990’s Seattle sound and the mosh pit beckons. The song will set you to dancing as it conveys hard truths such as “It’s more than you bargained for but less than you paid.” Toledo’s detached vocal delivers an anthem for today’s youth. The winner in the competition for longest song title ever, (Joe Gets Kicked Out of School for Using) Drugs with Friends but Says This Isn’t a Problem is clever and probably the best song about a brush with narcotics and the confusion of youth captured on tape. It is the narrative of a teen pill party gone horribly wrong with observations like, “Hangovers feel good when you know it’s the last one”… and “afraid of the cops on the outside and my friends on the inside”. The end result of the experience is that the acid and mushrooms and even the friends are not as great as they had been billed. The song Just What I Needed/Not Just What I Needed is already the stuff of legend if only for the back story. Toledo was going to use a sample of the Car’s song, “Your Just What I Need”, but the Cars would not allow the sample and a number of vinyl copies of the record had to be destroyed. The jangle guitar track discusses not settling for the lowest common denominator. Suggesting that we are all floating in our own spectacular messed up situation, and there is no one correct way to be no matter what society says. The song finished out with a glichy overdub track. Another song I really took to was Drunk Drivers/Killer Whales. It begins with an eerie recording of a drunk trying to get in his car. The utilization of the Loud/Quiet technique makes for an effective song about rationalizing our bad decisions. Amidst the list of bad decisions one of the worst is drunk driving, but we all make just as many bad life decisions. The reoccurring lyric “We are not a proud race, it’s not a race at all, we’re trying to get home, drunk drivers” really nails the theme of the track. 1937 State Park begins with a single guitar and a found sound voice over then cranks into a full band with a heavy early Smashing Pumpkins vibe. The booksmart lyrics discuss depression that is brought on by thoughts about death and the end of relationships. It is a brilliantly constructed song, with my favorite lyric being, ‘Death is playing his xylophone ribs for me.” Upon hearing the opening of Unforgiving Girl I could not help but be reminded of Paul Westerberg and the Replacements. The bright jangling sound of the track is made even better by the lyrical manifestations of Toledo’s mind and its quicksilver somersault movements. Like Westerberg he is saying the things everyone else is thinking but is too cowardly to say. He ends the track saying “I like that one” and I concur, a great ‘Do not miss” song. When you first see the run time of Cosmic Hero it would seem like a listening chore lies ahead, but the song really flows along. It begins with discordant horns that seem to herald the arrival of the song. The highlight is the list identifying many of the paradoxes of life. These paradoxes are juxtapositioned against each other to make a point of how hopeless we all are in understand our fellow human beings and even worse at giving apt advice. One of the key lyrics is, “If you really want to know yourself, it will come at the price of knowing no one else.” Another interesting construct is the use of mantra like choruses that progress from a fear of the afterlife to the realization that it will be alright. It is another alluring song. What can I say about the mammoth epic that is The Ballad of the Costa Concordia? Toledo draws a parallel from the cowardice of the ship captain abandoning passengers to die in that modern tragedy to our own gutless rationalizations about why nothing is our fault. It is also an examination of how society in a 24/7 news cycle has no memory and soon forgets the outrage of tragedies. This means we are doomed to constantly repeat them, “If only I could sustain my anger”. It is a long song clocking in at eleven and a half minutes but worth spending the time upon. The song oscillates in tempo from a confessional piano ballad to a rock out in three quarters of the song. It is a beast of a track. The song Connect the Dots (The saga of Frank Sinatra) breaks the heaviness of The Ballad of the Costa Concordia with its explosion of sound again reminiscent of post punks The Pixies and The Replacements. It has an excellent garage band feel. The album ends with Joe Goes to School where we leave our hero hopefully heading for a better path as he describes encountering a horse. It is a off the cuff Beck like song that sends the listener out of world created by Toledo and into actual reality. Teens of Denial contains all the attractive ungainliness of youth and insightfully describes that often stark and desolate period which is the teenage/post grad years. There is a lot to like on the album and it reveals more and gets more addictive with each listen. The release is a product of the 21st century information overload age where loneliness is its companion and music is the escape. The musical accompaniment is stellar all by itself but don’t let that distract you from Toledo’s perceptive and clever lyrics. If you are an alternative music aficionado you need to own this one. It will certainly be one of the milestone releases in the genre if not for the 2016 music year.